In 1884, a Russian woman by the name of Liudmila Volkenshtein was found guilty of anti-tsarist “terrorism” by a military court in St Petersburg. Her crimes were bound up with her membership in an underground group called “The People’s Will” (Narodnaia Volia), an organization that in 1881 had carried out the assassination of Tsar Alexander II. Volkenshtein herself was found to be an accessory to another People’s Will murder, that of Prince Krapotkin, governor of Kharkov. Volkenshtein was sentenced at a proceeding later dubbed the “Trial of the Fourteen” (October 1884), a dramatic legal event that was kept completely secret within Russia although it was covered with interest by the international press. S.M. Kravchinsky, a member of the tsar’s secret police force (the Okhrana), recorded, “in the courtroom, not even the closest relatives of the defendants were allowed to crowd into the hall. [The case] was presented to military and naval ministers and five senior officials . . . in such a terrible secret that the residents of neighboring houses had no idea even of what happened at the courthouse during the political process”(1). Of the harsh sentences that the fourteen defendants received, “Free Russia,” a periodical based in London, dramatically wrote, “We shall neither see nor hear from them again . . .they are Russia’s last martyrs”(2). Volkenshtein herself was remembered by those few who were at the trial for her calm demeanor and steadfast devotion to the ideals of her cause. Because she did not recognize the authority of the imperial court, she declined to defend herself against the charges brought or make any sort of plea on her own behalf. Vera Figner, a fellow defendant, later remembered, “my other comrades were reserved and silent, thinking their own serious thoughts. Only Liudmila Volkenshtein was perfectly unconcerned . . .”(3). Only one person knew, at the time of her sentencing, that the Okhrana had in fact had help in locating Volkenshtein. Her whereabouts had been betrayed, slipped to the chief inspector by a fellow conspirator within the People’s Will. Indeed, the last act of espionage that Sergei Degaev, the double agent, would perform for the tsar would be the betrayal of his revolutionary colleague, Liudmila Volkenshtein. Although initially sentenced to death, her sentence was commuted to thirteen years of solitary confinement in Shlisselberg Fortress followed by transportation to exile in the Russian Far East. Years later, in 1897, just as Liudmila was finishing up her lengthy term of solitary confinement and preparing herself for transportation to Sakhalin island, the University of North Dakota was seeking to fill the position of a much needed math professor. Founded just six years earlier, the institution then served a modest three hundred students, only forty of whom attended college (the rest received high school equivalency certificates). Edward Olson, the university’s third president, a Norwegian immigrant and scholar of Greek, in fact fired many of the existing faculty upon his arrival for possessing inadequate pedagogical skills. He turned to Johns Hopkins regarding his urgent requirement for a math professor, although he knew that persuading such an individual to move to South Dakota might be another matter. Fortunately, however, one Alexander Pell, a forty-year-old immigrant from Russia who had just defended his dissertation at Johns Hopkins, expressed strong interest in the position. He was immediately hired. Professor Alexander Pell and his wife Emma moved to Vermillion, South Dakota, in 1891. They rarely spoke of their former lives in Russia, preferring to hear the stories of those around them. Soon they had become fixtures in the community. Alexander, described as a short man with a strawberry-blonde beard and blue eyes, enjoyed his comradery with the students, who nicknamed him, “Little Father.” Pell played in chess tournaments, attended his students’ football matches, ice skated on the university pond, and participated in chapel. Von Hardesty and John Unruh wrote in 1972 for South Dakota History that Pell was “a model teacher, an able administrator, and a kind, generous, outgoing friend to students and faculty colleagues”. He and his wife took in needy students as boarders, provided tutoring for those who needed it, and ran a laundry service. Realizing that the students needed practical quantitative skills that extended beyond the theoretical, Alexander founded the university’s Department of Engineering. 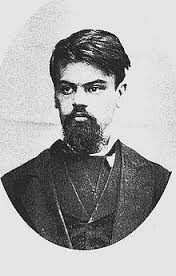 Of their prior lives in Russia little was said, although Pell did tell some students that he had witnessed the fatal bombing of Alexander II. Sometimes, he said, he had dabbled in nihilism as a youth (4). When Emma died in 1904, Pell moved from Vermillion. He married again in 1907, this time to a former boarder and student, a brilliant mathematician named Anna Johnson who would become one of America’s greatest woman mathematicians and serve as chair of the Bryn Mawr math department. As the years passed, Alexander struggled with various health concerns, including the effects of a stroke. He died in 1921. Anna married again, although she was buried, per her request, next to Alexander after her own death in 1966. 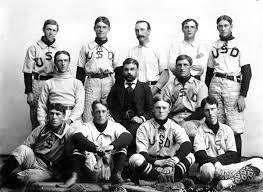 She established a scholarship in her husband’s name at the University of South Dakota that is still awarded today(5). Oddly enough, however, although Alexander Pell had always aspired to teach mathematics, Sergei Degaev’s interests lay elsewhere. Sergei Degaev was born in 1857 in Moscow to an intellectual family of modest means. He joined the People’s Will in St Petersburg in 1881; the next year he was arrested for creating revolutionary student circles and brought in for questioning. It was during this encounter with the Okhrana that one of the tsar’s most feared police chiefs, Lieutenant Colonel Georgi Sudeikin, convinced Degaev to become an undercover agent. Arguing that the two shared the same philosophical ideals about government, and that collaboration between the Okhrana and the People’s Will would help hasten the collapse of tsarism, Sudeikin crafted an tenuous agreement with Degaev: for information regarding the underground activists, Sudeikin would help advance Degaev’s career. Never completely comfortable with the violent means utilized by the People’s Will, and dissatisfied with the rate of his own advancement within it, Degaev began to betray his fellow revolutionists, slipping Sudeikin names, addresses, and meeting times: Liudmila’s was one such betrayal. The act would not last long. When Degaev’s duplicity was discovered by the People’s Will, they demanded that he atone for his sins by killing Sudeikin himself. This Degaev did, with the help of two accomplices. Luring Sudeikin into his apartment, Degaev shot him and then bludgeoned him to death with a crowbar. Degaev then fled Russia, realizing that he was neither fish nor fowl, definitely not Okhrana, yet disdained by his colleagues in the People’s Will. 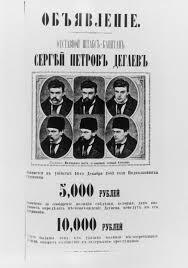 At one point, posters were circulated internationally that advertised a 10,000 ruble reward for information leading to Degaev’s arrest. By that time, however, the revolutionary had already ensconced himself in the math department at the University of South Dakota. As the years passed, the disguise began to thin. A circle of Russians living in New York figured out Pell’s true identity, yet decided not to reveal him, to allow the past to remain in the past. Rumors continued to circulate regarding the double agent from time to time, changing in content and purpose as the political climate itself changed. After the Bolshevik Revolution, Degaev’s disappearance and “probable murder” was used as a rallying cry: one circular claimed that Degaev had been murdered by anti-revolutionary elements, “Internationalists-Terrorists”(6). As is often the case when excavating the past, some questions remain regarding both Degaev and Pell to which answers will probably never be found. For example, how much did the the famous American mathematician, Anna Johnson Pell, know about her husband’s identity and past? How did Degaev personally justify betraying his fellow People’s Will activists? 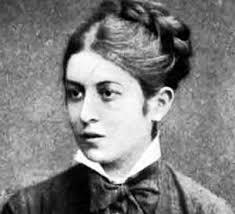 What factors caused some members of the 19th-century Russian revolutionary movement, such as the impressively serene Liudmila Volkenshtein, to maintain their steadfast political convictions in the face of extreme hardship, while others, such as Degaev, could never quite make up their minds? And finally, how did Degaev, who was famous among his colleagues for his extreme squeamishness, manage to bludgeon Sudeikin to death with a crowbar? 2. Leo Tichomiroff. “To-day: Monthly Magazine of Scientific Socialism. London.” 2(12) Dec 1884: 598.3. Narodnaia Voliia. “Diary of Memory about the Trial of 14.” http://www.narovol.narod.ru/document/process14.htm 3.Richard Pipes. The Degaev Affair: Terror and Treason in Tsarist Russia. New Haven: Yale University Press, p. 98 Note: Please see Pipes’ excellent book for the most complete scholarship regarding the Degaev/Pell transformation.